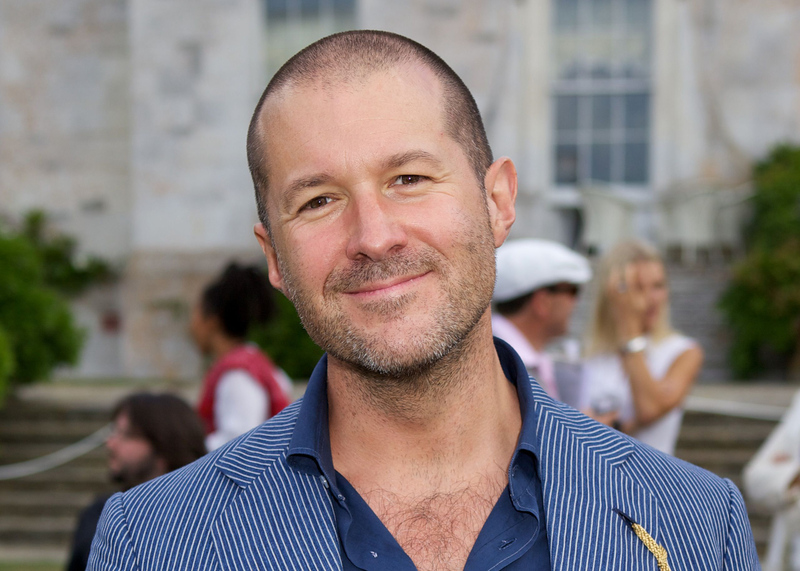 Jonathan Ive: "Fewer designers are interested in how things are made"
The chief design officer at Apple said that designers in all fields appear to be less interested in the handmade. "Surprisingly fewer and fewer designers, regardless of their particular design discipline, seem to be interested in the detail of how something is actually made," said the British designer. "With a father who is a fabulous craftsman, I was raised with the fundamental belief that it is only when you personally work with a material with your hands, that you come to understand its true nature, its characteristics, its attributes, and I think – very importantly – its potential." Ive was speaking yesterday at the preview of the Manus x Machina exhibition at New York's Metropolitan Museum of Art, which Apple is sponsoring. The show's focus is the convergence of fashion and technology, and explores how the hand (manus) and machine (machina) can be combined during the design process of both haute couture and ready-to-wear clothing. It includes over 170 garments by designers such as Iris van Herpen, Gareth Pugh, Yves Saint Laurent and Karl Lagerfeld. "In the design team at Apple, we do share similar preoccupations and goals with the designers whose work you will see here today," Ive said. "Many of us I think believe in the poetic possibilities of the machine, while in equal measure, we have tremendous respect and admiration for what is made by hand." Ive has worked full-time at the tech giant since 1992 and is credited with creating some of the company's music popular designs, including the iPhone, iPod, iPad and MacBook Pro. He was promoted to the newly created role of chief design officer in May 2015, and had since launched products like the Apple Pencil. The only way to maintain quality in both small and large-scale production, Ive said, is to pay exceptional attention to detail in each project. "The most critical of all for me in this discussion is the notion of care," said Ive. "When something's made in the smallest volume – as a one-off couture piece – or in large quantities, deep care is critical to determine authentic, successful design and ultimately manufacture." Manus x Machina opens to the public from 5 May to 14 August 2016. We are thrilled at Apple to help bring to life Manus x Machina – Fashion in an Age of Technology. When Anna [Wintour, Vogue editor] and Andrew [Bolton, Met curator] first talked to me about the exhibition, I was particularly intrigued that it would stimulate a conversation exploring the relationship between what is made by hand, and what is made by machine. That it would challenge the preconception held by some, that the former is somehow inherently more valuable than the latter.In the design team at Apple, we do share similar preoccupations and goals with the designers whose work you will see here today. Many of us I think believe in the poetic possibilities of the machine, while in equal measure, we have tremendous respect and admiration for what is made by hand. Our goal has always been to try to create objects that are as beautiful as they are functional; as elegant as they are useful. Our physical designs are informed by our passion for materials and processes, based on an experience gained from making things actually ourselves. Surprisingly fewer and fewer designers, regardless of their particular design discipline, seem to be interested in the detail of how something is actually made. With a father who is a fabulous craftsman, I was raised with the fundamental belief that it is only when you personally work with a material with your hands, that you come to understand its true nature, its characteristics, its attributes, and I think – very importantly – its potential. As I have watched the exhibition's narrative evolve, it has been exciting to see craftsmanship considered not only in the context of today, but also the future. The Chanel dress that Tom [Campbell, Met director] mentioned, which was Andrew's inspiration for the exhibition, is a wonderful example of artisan-like craft executed with the deepest consideration, yet enabled with the every latest technology. Most breakthroughs in craft were once, of course, perceived as truly innovative. Often shockingly so. Once, even the simple metal needle challenged the conventional thinking of a time. I'm humbled by the innovations of the past, in the same way that I'm humbled by the work that we can see here today. It's easy to think that craft can't change, but important to remember that all craft process was at some point new; at some point challenged convention – not to be contrary, but enabled by some breakthrough; some newly discovered principle, or sometimes some wonderful accident. Fundamentally though, the most critical of all for me in this discussion is the notion of care. When something's made in the smallest volume, as a one-off couture piece, or in large quantities, deep care is critical to determine authentic, successful design and ultimately manufacture. It is extraordinary care and resulting beauty that I recognise in every object here today. Regardless of whether is has been made by hand or by machine, it is creation led by great consideration, rather than driven by a preoccupation with schedule or price. I believe this will resonate with visitors to the exhibition. Ultimately, it is the amount of care invested – whether machine-made or handmade – that transforms ordinary, modest materials into something extraordinary. I would like to sincerely thank Anna, Andrew, Tom and the team here at The Met on behalf of all of us at Apple, for the opportunity to be a part of this beautiful and thought-provoking show. I know that it will be an inspiration to many, and challenge us to recognise that far from being mutual exclusive notions, technology are craft are of course not at odds. And much like beauty and utility, go hand in hand – all the more powerful in combination.